Anyone who has travelled through Thailand can’t help but see the ubiquitous name “JIM THOMPSON” on storefronts in the airport and throughout major cities. But who was this man? Jim Thompson was an American OSS officer who fell in love with Thailand during World War II. Dissatisfied with his former life in America, he remained in Thailand and moved into a career as exotic as any novelist could create. In twenty years he built a major industry that profoundly changed the lives of thousands of Thais, became an authority on art that he previously knew nothing about, and assembled a world-renowned collection. He built a home that became a major tourist attraction in Bangkok, and he himself became a legend in Thailand; a letter, simply addressed to “Jim Thompson, Bangkok” would find its way to him in a city of 3.5 million people. 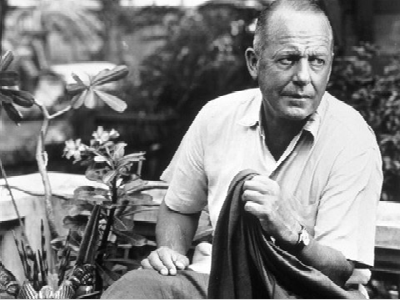 In 1967, on Easter Sunday, 67-year-old Jim Thompson disappeared from the Cameron Highlands in Malaysia. Not a trace was ever seen or heard from him. This has become one of the enduring legends and unsolved mysteries of Asia. This talk will focus on the life and career of Jim Thompson, as well as speculations on his mysterious disappearance. Anita Laurila holds a dual degree in English Literature and Political Science from the University of Michigan, Ann Arbor. She has worked for a US Congressman, the Governor of the State of Michigan, and the Michigan State Treasurer. She served as the Public Information Officer of a Non-Profit Agency and as the Assistant to the President of a Catholic Boy’s High School. While living in Thailand for nearly 3 years, Anita was a member of the Bangkok National Museum Volunteers and the Editor of an Expat Association, and became fascinated with Jim Thompson. She has lived in Shanghai for the past 4½ years.